Is this a legit lead? Are we a good fit for this lead and company? These questions are important because you need to know if that lead is a good market fit for your product or value-offering. Therefore, the issue lies in creating a systematic process for lead qualification and prioritization. The answer to this is – lead scoring. In simple terms, lead scoring is a method for checking and assigning scores or ranks to all leads. This helps in establishing compatibility and sales-readiness for your leads through a system of grades or scores. If you’re in sales and marketing, chances are you’ve heard about lead scoring but haven’t implemented a proper mechanism to follow-up on it. Lead scoring gives your sales team more time to convert leads that matter and allows them time to strategize for each account. Marketing Sherpa reports that 79% of marketers have not established B2B lead scoring. Furthermore, the same report details how Chief Marketing Officers (CMO’s) witnessed a 138% increase in ROI after implementing lead scoring. If these stats aren’t enough, you need to know that lead scoring also helps speed up the qualification process drastically. Now that you know what lead scoring is all about, do you feel this is something you need? Don’t worry, if you still need more perspective, the next part of this article will hopefully clear any doubts you may have. Who is Lead Scoring For? 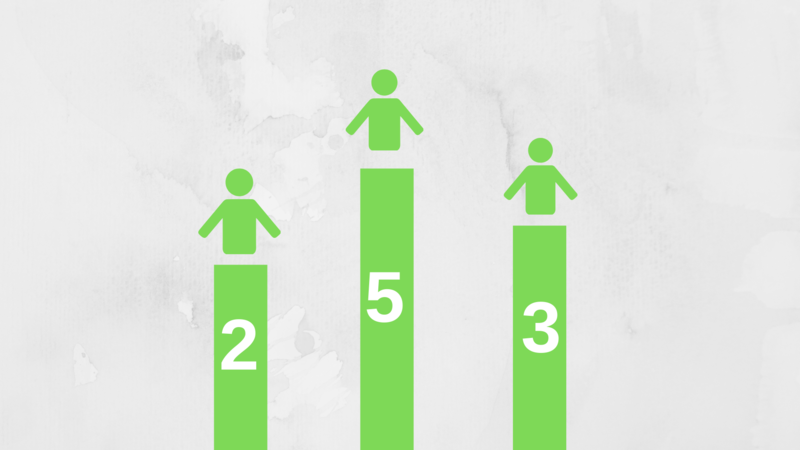 The number one reason for implementing lead scoring is sales optimization. Specifically speaking, lead scoring helps in lead management, sales prioritization, and acquisition. Therefore, you’re missing out on a lot if you haven’t started lead scoring. The right question is when should you invest in establishing a mechanism for lead scoring? They say a sales development representative (SDR) can deal with a maximum of 50 inbound leads a day. However, you’d want them pursuing the right leads and not the highest number of leads. What if 15-20 of those leads weren’t even worth your SDR’s time? That’s a lot of time wasted. The idea is that you will help steer your sales team towards better sales decisions. They will still pursue all or most of the leads you get, but at least your team will know to follow the money. Frankly, that’s what sales is all about! This is basic criteria which aren’t too complex – and my best guess is that you probably have the above. No need to worry if you don’t have a basic sales process in place, you can read this article on how to integrate lead nurturing into your sales process for streamlining sales. High-quality lead data is important, and not just for lead scoring but for all your sales and marketing campaigns. Nowadays, the company which has better data has a competitive advantage. This requires you to opt for some good lead appending solutions. The solution is to keep your database in check. Luckily, Cloudlead provides top-notch lead appending services as well. These factors are insights needed for prioritizing and assigning certain ranks or numbers to represent the importance. For example, if your company is targeting Chief Technology Officers, then you should assign +80 to the job title. An IT director should, therefore, provide a lower score like +20. This way you’ve allocated importance value. Also with Cloudlead, you can request information you value while setting up your custom lead scoring mechanism. This model is really simple and yet extremely effective as well. The idea is to divide lead scoring into three main categories. Lead, account and contact information. In this section, you need to know information like job title, complete name, lead location, decision maker level. Annual revenue, account LinkedIn, industry, account number, technographic breakdown, employee size or some other custom account info. Email, phone validity, lead LinkedIn verification. In an ideal scenario where all three categories are a match, you would score 300. A 100 for each category. Do you know if your lead can afford your service or allocate a budget to utilize it? Information like annual revenue and departmental budget can help you understand and answer this question. Can this lead give the final yes to you? Are there other potential decision makers involved? Information like Job title and additional decision makers from the same account can help you here. Does this company and lead fit your ideal customer profile and how well? What prerequisites does your account need to enjoy the maximum benefits of your offering? This needn’t be technographics but could even be something like “at least two senior designers”. Information like technographics breakdown, size of sales/HR/Supply chain/Marketing team and other custom data points that could help establish the need. When can this lead convert? Information like upcoming events, competitor contract expiry in 3 months, new year budget allocation. Usually, such information is valuable for enterprise level solutions and may not necessarily be a right fit for you. Lead scoring can hence be considered an integral part of the sales process and lead management method. However, this whole article should definitely make you realize that there are so many applications to information and lead scoring is just one of them. Remember to always get your CRM information cleaned and enriched. Otherwise, we see a trickle down effect where your sales and marketing efforts won’t make as much sense. For more information on lead appending and scoring please contact us here.